iSupply Energy unbiased review: How do they compare? Are you considering switching to iSupply Energy? Before you decide, take a look at this guide to find out what they can offer you, plus what their customers are saying. iSupply is a Bournemouth-based independent energy company that claims to have new customers every month that trust them with their energy needs. They aim to give customers clear information, low costs and friendly customer service, revolutionising the domestic energy market and help rebuild trust in the energy industry. For an idea of the costs, you can expect from iSupply, see the table below. This is an estimated monthly price based on a house that has three bedrooms with dual fuel, meaning you would get both your electricity and gas from iSupply. 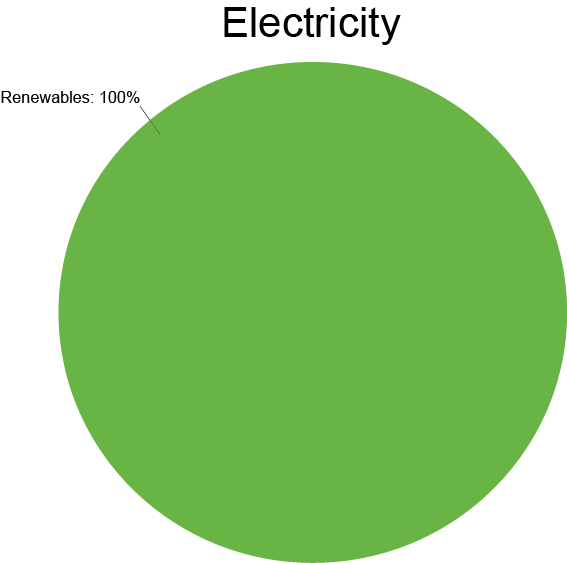 iSupply offered their customers 100% renewable energy and provided this pie chart on their website to show customers where their power has come from since April the 1st, 2017. Now that they are owned by Vattenfall, which is one of Europe’s biggest retailers of electricity and gas. This means that they can offer their customers lower prices and renewable energy in their journey to help you to power your life in a more climate-smarter way. When it comes to customer service, iSupply has mixed reviews on trusted websites such as Trustpilot. Some of the negative reviews are concerning not having callbacks or issues not being sorted for a more extended period than they should, but this can happen for a variety of reasons and does not necessarily guarantee a poor service. Have been with iSupplyEnergy for almost two years and have found them excellent they have UK call centre staff who are courteous, informed and helpful. Spoke to customer service with regards to high bills and didn’t get any response. I will leave and would like to make a formal complaint. I am being charged for things I don’t use. There is no gas or electric supply to the house and yet get charged a ridiculous amount. Very disappointed. iSupply offers you three main tariff types depending on whether you would prefer having fixed costs, variable costs or if you use a prepayment meter. Fixed: Fixed energy prices for a period. Variable: Variable energy prices that depend on the wholesale energy market. Prepayment: For those who are already or would like to use a prepayment meter, which is where you pay for your energy in advancement. iSupply has an average rating on Trustpilot, with only a 3-star rating out of 5. 37% of these reviews are positive, 23% are negative and the rest is falling somewhere in the middle, out of over 3,500 reviews. Some of these reviews state that customers have had negative experiences with the online portal that iSupply provides, and there have been problems with meter readings. Although online reviews aren’t always accurate, they should still be considered when deciding whether you should make a switch to a new supplier. Easy to switch to at very good rates. Kept rates the same despite changing ownership. Any queries about meter readings resolved quickly by providing a photo of the meter. All in all, very happy with the service. A diabolical company the house I purchased used these and I have repeatedly asked for a final bill so I can leave and I’m still waiting they don’t reply they are however very quick at stopping me from changing and sending threatening court actions letters or emails. All I want is a final statement so I can change. iSupply would be a good fit for customers that want a simple, transparent energy company that can offer you 100% renewable energy and a UK based customer service team. iSupply is an independent energy supplier based in Bournemouth, with mixed reviews on Trustpilot that only give it an ‘average’ status. However, they might make up for that by offering you lower prices, renewable energy and honesty.